The four-point, model plastic suspension is energy absorbing for maximum safety, and the high density polyethylene design complies with ANSI Z89.1-1986 criteria, while weighing in at a comfortable 13 oz. It is also adjustable to fit all sizes, and features a built-in accessory slot for quick accessory add-on. 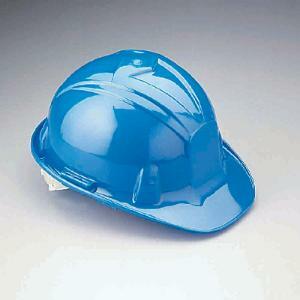 Color of hardhat may vary.